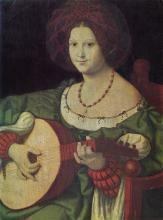 Andrea Solari (also Solario) (1460 in Milano – 1524) was an Italian Renaissance painter. Initially named Andre del Gobbo, he was one of the most important followers of Leonardo da Vinci, and brother of Cristoforo Solari, who gave him his first training. 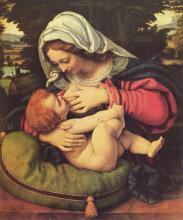 His paintings can be seen in Venice, Milan, and the Château de Gaillon (Normandie, France).